Do you love Jesus? Do you love Camp Ministry? Come to Tejas! The Tejas Internship Program exposes single college students and young adults to different areas of ministry while challenging and encouraging them to become more like Christ and learning what it means to "set the stage for Jesus to transform lives" . Tejas Communications/Media staff seeks to provide a guest experience that is seamless and without distraction. We seek to hire individuals who reflect this vision. 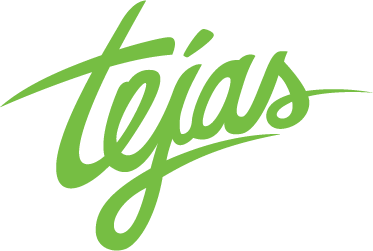 Tejas is currently seeking to fill the position of Communications/Media Intern. An internship in this capacity would observe and assist in helping promote Tejas through various media outlets. Tasks include: assisting in the following types of projects: Printed materials, graphic design, photography, videography, editing, social media, marketing, and audio/visual set ups in conference rooms. •	Responsible, punctual, and willing to work with others. •	Organizational skills, and communicate effectively orally, in writing, and electronically. •	Must be able to multi-task in a fast-paced work environment while being diligent and reliable. • Looks for opportunities to take initiative. When not working on media tasks, the Communications/Media Intern will join with the other Tejas interns to assist with camp duties such as running guest activities. All interns will be required to attend weekly discipleship events. Our Internship Program is one year long, going from August 2019-August 2020 and we are currently accepting applicants aged 20-25. If interested, please check out our website for more info and apply online. camptejas.org/internship. We look for believers who have a desire to grow in their walk with Christ and as a result, have a passion to serve our guests.